AS THE Union Cabinet has approved the merger of five associate banks with State Bank of India, SBI Group has finalised plans to launch a voluntary retirement scheme (VRS) which could lead to a lower headcount in the number of employees from the total employee base of 73,000 in the associate banks. details of the branch rationalisation plan, an official of SBT has claimed that the merger plan could lead to closure of SBT’s 30 per cent of branches. While the five associate banks have 6,717 branches, SBT has 1,117 branches. “We have information that 204 branches have been identified in Kerala and 59 in Tamil Nadu,” an official said. 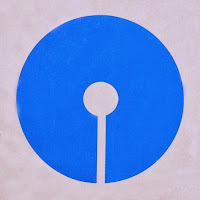 Earlier, SBI had said in a statement, “The merger will result in creation of a stronger entity. This will minimise vulnerability to any geographic concentration risks faced by associate banks. This merger is an important step towards strengthening the banking sector.” A formal notification in this regard is awaited from the government wherein the effective date of merger will be indicated. The five associate banks have a total deposit base of over Rs 5 lakh crore and 8,964 ATMs across India. The boards of associate banks have already approved the VRS plan, but they are yet to notify the number of employees eligible for the VRS, said an SBI official. “In view of the impending acquisition, your bank may consider implementing a VRS for employees as an employment-friendly initiative. The scheme would provide a good opportunity to employees who may genuinely want to retire voluntarily on account of the uncertainties related to possible relocation of job profile post acquisition,” SBI said in a letter to the MD of State Bank of Travancore. The VRS scheme is open to those staffers who have put in 20 years or have completed 55 years as on September 30, 2016. It has offered ex-gratia amounting to 50 per cent of salary for residual period of service subject to a maximum of 30 months’ salary. However, bank unions have said “closure of associate banks by mergers is unwarranted as these banks are in existence for very long in various states” and they have “sound financial fundamentals, commendable financial ratios, well-established branches and serving the people at large in rural, semi-urban and urban centres”. “Associate banks are premier banks in the respective states with sizeable market share and credit deployment to productive sectors. They are immensely financing agriculture, micro-small-medium-large industry, trade, service sectors at the regions and states,” said K S Krishna, general secretary, State Sector Bank Employees’ Association. Meanwhile, the merger process may be delayed further as the PSUs are yet to receive approval from the Competition Commission of India (CCI). An RTI query by the daily The Hindu revealed that the mandatory CCI clearance is yet to come.